Following the application for insolvency filed by the airline Germania, the Charlottenburg Local Court (Amtsgericht) yesterday passed an order on preliminary insolvency proceedings. 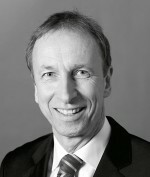 Rüdiger Wienberg from the law firm hww hermann wienberg wilhelm was appointed as the preliminary insolvency administrator. The preliminary insolvency proceedings include Germania Fluggesellschaft mbH (1,426 employees), Germania Technik Brandenburg mbH (178 employees) and Germania Flugdienste GmbH (74 employees). The Swiss company Germania Flug AG and Bulgarian Eagle are not affected by the insolvency. Wienberg has already initiated the pre-financing of the insolvency compensation to be paid to the company’s approximately 1,678 employees so that it can be paid out as soon as possible. The insolvency compensation serves to secure employee wages and salaries for a period of three months. Since, however, the insolvency compensation is only paid out by the German Employment Agency (Agentur für Arbeit) when insolvency proceedings are opened, it is usually pre-financed using a bank loan. At the same time, Wienberg will be working on the court’s behalf to obtain an overview of the company’s situation. This also includes assessing the prospects for its survival. Germania had, however, already discontinued flight operations in the night between 4 February and 5 February in consultation with the German Federal Aviation Office (Luftfahrtbundesamt). The decision to ground the company’s planes was made because, in the event of insolvency without proof of financing, the company will no longer meet the requirements for the necessary operating licences under aviation law. Around 60,000 travellers will be affected over the next two weeks. “We are currently in talks with other market participants in order to help passengers who are stuck at their destinations to return home quickly and with as little red tape as possible”, said Wienberg. Passengers who booked their flight as part of a package holiday can contact their tour operator to organise alternative transport. Consumer protection law provides for insurance to compensate travellers on package holidays when their airline is no longer available. register a claim in the insolvency table. This does not, however, require the individuals affected to take action themselves: after the proceedings have been opened, the insolvency administrator will write to them and provide them with all of the information they need to file a claim. hww hermann wienberg wilhelm is a service provider specialising in legal advice, restructuring, insolvency and receivership. With several hundreds of employees, hww is represented in more than 20 cities in Germany and has its own international network. Insolvency administrators from hww hermann wienberg wilhelm have been appointed by numerous insolvency courts throughout Germany in thousands of insolvency proceedings over the years. High-profile proceedings involving the law firm include the insolvencies of Holzmann, Karman, Q.Cells, topbonus and SOLON.